One aim of customer engagement is to continuously build and update knowledge on each individual visitor. Etech Global Services is a leading provider for customer engagement solutions, voice, quality monitoring, chat, social, and email. Etech began in 1997 in Texas in the United States and has expanded to include eight dynamic contact centers across the U.S., Jamaica, and India. Etech won the Silver Stevie® Award for Business Intelligence Solution - Human Intelligence Meets Artificial Intelligence in the 2018 Stevie Awards for Sales & Customer Service. Etech's solutions help their clients reduce efforts, enhance customer experience, increase sales results, and increase market share. 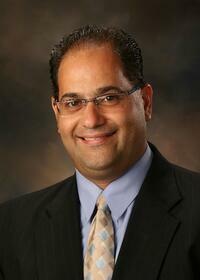 Chief Customer Officer Jim Iyoob shares how their "servant leader" philosophy has motivated them to achieve success. Etech started with about 400 employees and now has grown to over 3,000 employees without a merger or acquisition. As 30-year veterans in their field, Etech's Insights division has continued to grow and now consists of more than 200 field expert data scientists. These experts have navigated a definitive increase of consumer control in today’s marketplace, directly impacting their industry and requiring their adaptability. Etech constantly aims to make a remarkable difference in their clients’ lives and their communities. “Growing as a leader does not occur overnight, but once our employees are presented with the tools of servant leadership, they set goals to start making changes intentionally, consistently and daily,” Iyoob says. Among all the gains and accomplishments Etech has experienced, one of the most dramatic and personal setbacks happened this past year to Etech's President and General Manager, Matt Rocco. Iyoob details Rocco’s story. Etech defines adaptability as being flexible and willing to positively and purposefully introduce, embrace, and patiently lead the way through change. Etech has fully embraced this spirit. The Stevie® Awards, organizers of the world’s premier business awards programs, today announced the Gold, Silver and Bronze Stevie winners in The 16th Annual American Business Awards®. All organizations operating in the U.S.A. – large and small, public and private, for-profit and non-profit - are eligible to submit nominations to the ABAs in a wide range of categories, honoring achievement in every aspect of work life, from customer service and management to public relations and product development. More than 3,700 nominations were reviewed in the judging process this year by more than 200 professionals, whose average scores determined the winners. For a complete list of the Stevie Award winners announced today, visit http://www.StevieAwards.com/ABA. 2018 Stevie winners will be celebrated and presented their awards during a gala event on Monday, June 11 at the Marriott Marquis Hotel in New York. Tickets are now on sale. The presentations will be broadcast live via Livestream. Top winners of Gold Stevies, with three or more each, include Aeye (Pleasonton, CA), Aflac (Columbus, GA), Age of Learning (Glendale, CA), Anthem Foundation (Indianapolis, IN), Blue Wheel Media (Birmingham, MI), FIS (Jacksonville, FL), George P Johnson Experiential Marketing (Auburn Hills, MI), GN Hearing, (Bloomington, MN), GOLD PR (Irvine, CA), Gorilla Safety (Houston, TX), GTT Communications (McLean, VA), I Am Enough (Marina Del Ray, CA), Jeunesse Global (Orlando, FL), John Hancock Financial Services (Boston, MA), Marriott Vacations Worldwide (Orlando, FL), Petplan (Newtown Square, PA), Reltio (Redwood Shores, CA), Rentec Direct (Grants Pass, OR), Rimini Street (Las Vegas, NV), TopSpot (Houston, TX), Vectra (San Jose, CA) and Zenni Optical (Novato, CA). Among all other Stevie winners, those winning five or more awards include 3D Exhibits (Schaumburg, IL), Accenture (Chicago, IL), ADP (Roseland, NJ), BMO Capital Markets (Chicago, IL), Brighton Health Plan Solutions (New York, NY), Cisco Systems Inc. (San Jose, CA), DCR Workforce (Boca Raton, FL), EMI Strategic Marketing (Boston, MA), Entercom (New York, NY), Franklin Covey (Salt Lake City, UT), HomeServe USA (Norwalk, CT), LABOV Marketing Communications and Training (Fort Wayne, IN), Makers Nutrition (Hauppauge, NY), Marketing Mojo (Charlottesville, VA), Merkle (Columbia, MD), MWWPR (New York, NY), New American Funding (Tustin, CA), Pacific Life Insurance Co. (Newport Beach, CA), Quest Software (Aliso Viejo, CA), SoftPro (Raleigh, NC), Spark Growth (New York, NY), STYLE Advertising (Birmingham, AL), Tata Consultancy Services (New York, NY), TekLeaders (Plano, TX), Thomson Reuters (Stamford, CT), WebPT (Phoenix, AZ) and Wolters Kluwer (New York, NY). HCL America, part of HCL Technologies, a $7.4 billion global company that helps global enterprises reimagine their businesses for the digital age, sponsored the HCL Reimagining Business for the Digital Age awards, in 13 bespoke categories. Stevie winners in these categories include Allscripts (Chicago, IL), BD (Franklin Lakes, NJ), Citi (New York, NY), Cummins Inc. (Columbus, IN), Deloitte (New York, NY), Merck & Co. (Kenilworth, NJ), Oncor (Dallas, TX), Symantec (Mountain View, CA), The Vanguard Group (Valley Forge, PA) and Verizon (New York, NY), among others. Every new product or service nominated in The 2018 American Business Awards is included in voting for the People's Choice Stevie Awards for Favorite New Products, a worldwide public vote. 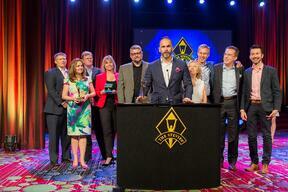 Voting is now open at http://peopleschoice.stevieawards.com and will conclude on June 1. People’s Choice Stevie winners will be announced the week of June 4, and will be honored during the June 11 presentations. 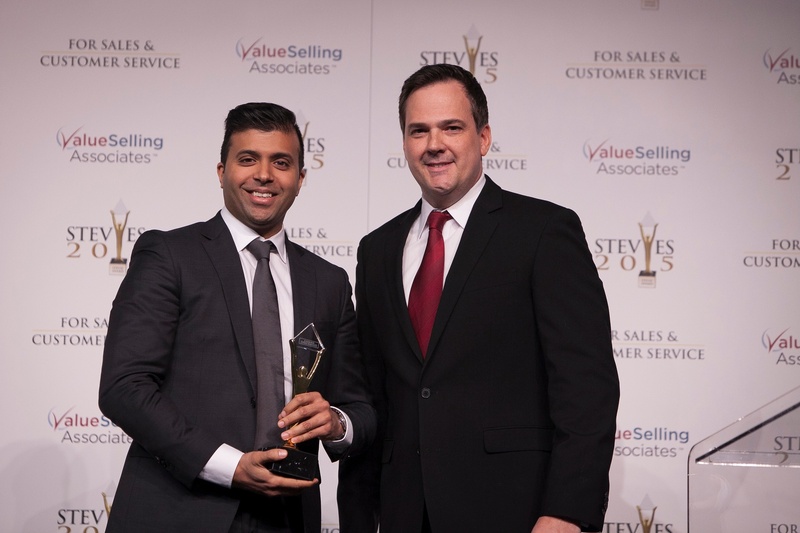 The 11th Annual Stevie Awards for Sales & Customer Service recognize the achievements of contact center, customer service, business development and sales professionals worldwide. Entries for the 2017 competition are now being accepted. October 19 is the early-bird entry deadline with discounted entry fees. The entry deadline is November 16, but late entries will be accepted through January 11 with payment of a late fee. Winners of the eleventh annual competition will be announced at a gala awards banquet on February 24 at Caesars Palace Hotel in Las Vegas. Today we will highlight the Solution Provider Awards categories. These categories recognize the achievements of solution providers for sales, contact center, and customer service professionals. (a) An essay of up to 650 words describing the nominated organization's accomplishments since July 1, 2015. (c) Optional (but highly recommended), a collection of supporting files and web addresses that you may upload to our server to support your entry and provide more background information to the judges. At the very least you should provide a link to the organization's website. Imparta Inc., Austin, TX USA: Imparta Inc.